Reliable and economic, indoor LED signs are ideal for plazas and shopping centers. They are less bright than semi-outdoor LED moving boards, therefore not suitable as street signs. 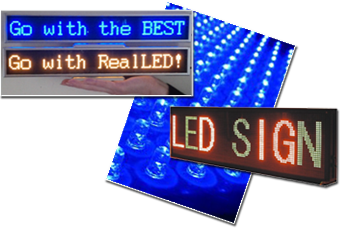 Sizes of indoor LED message boards vary. Small, elegant desk/shelf signs can attract your customers to new products. To order indoor LED Sign for your business contact us today!